The Mia Fit is a new Clarisonic cleansing device which is travel size version of the original. It's a shorter, smaller and more compact version which makes it perfect to fit in your handbag. I'm currently in full-time dance training and it's really easy to take with me and use at the end of the day. 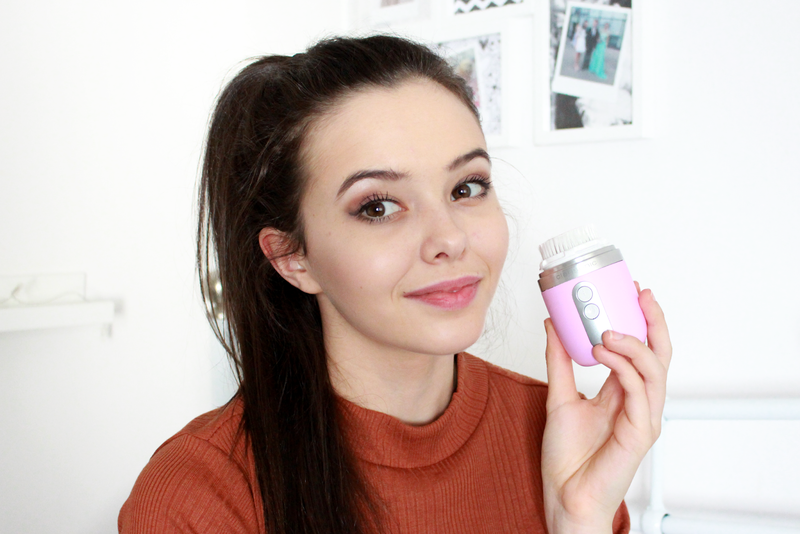 I was kindly asked by CURRENTBODY to try the product out for myself, on their website you will find a variety of beauty gadgets from brands like Clarisonic, T3, Foreo, and Illuminage. Every 3 days I use the Mia Fit in my skincare routine, usually at the end of the day when I've finished working out and feel like my skin needs some therapy. It's also really handy to use on days where I have worn higher coverage makeup so I can ensure it's all removed. I use the Clarisonic Sonio Radiance skin illuminating cleanser that it came with. I've noticed an instant difference in my skin as it is a lot smoother and I don't suffer from dry skin anymore (which is amazing seeing as the weather is much colder). The size of the device makes it easy to hold, I prefer it to the original size. The bristles are also really soft and so it doesn't feel harsh on my skin. Features: 2 Speed Settings (Normal and Power Cleanse), Preprogrammed pulsing T-Timer, Waterproof, Free-Standing Design and Rechargable with USB Enabled Charging Cradle. In my photo above, I also featured some of my other skincare favourites too. I love the Soap & Glory Speed Plump All Day Super Moisturiser, Sarah Chapman Spot Stickers and I also find that drinking plenty of water and eating the correct foods helps your skin the most! You can find the Clarisonic Mia Fit Facial Cleanser on the CurrentBody website for £170 and it comes with a free Glossybox! Plus free UK Delivery! What skincare product is your favourite? it looks really good. The fact that it is a bit smaller than the others is a big plus!